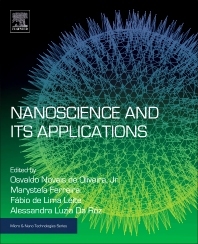 Nanoscience and Its Applications explores how nanoscience is used in modern industry to increase product performance, including an understanding of how these materials and systems, at the molecular level, provide novel properties and physical, chemical, and biological phenomena that have been successfully used in innovative ways in a wide range of industries. This book is an important reference source for early-career researchers and practicing materials scientists and engineers seeking a greater understanding on how nanoscience can be used in modern industries. Materials scientists and engineers, as well as those working in the natural and life sciences seeking a reference work outlining the essential principles of nanostructures and nanomaterials.